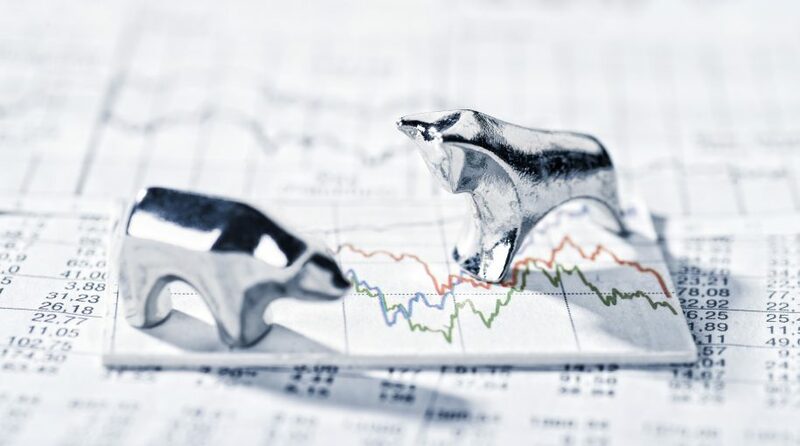 If the current raging bull market was compared to a baseball game, then according to Ray Dalio, American billionaire investor and founder of one of the world’s largest hedge funds, this game of profit-seeking is in the seventh inning or in terms of capital markets, has about two years left to run. Dalio’s prescience helped him to accurately predict the financial crisis in 2008, so fixed-income investors are keen to listen and take advantage of this extended bull market. In conjunction with the latest data from the Department of Commerce showing that U.S. gross domestic product rose to a revised 4.2% in the second quarter gives the Federal Reserve ample reason for additional rate hikes through the rest of 2018. As such, fixed-income investors must be wary of utilizing strategies that can help them navigate through this landscape of rising rates. With two rate hikes already seen through the first two quarters of 2018 and two more expected, bond investors can incorporate fixed-income ETFs into their portfolios that can adjust with rising rates. While bonds with floating rate notes are the typical go-to for fixed-income investors, it is also helpful to opt for short duration debt to minimize exposure to interest rate risk and a dash of high yield for those who aren’t risk-averse. With the risk-on sentiment in the extended bull market, HYHG tracks the performance of the Citi High Yield (Treasury Rate-Hedged) Index and allocates 80% of its total assets in high-yield bonds and short positions in Treasury Securities in order hedge against rising rates. Because HYHG invests in high-yield bonds, there is credit risk associated with the higher yield since the fund invests in corporate issues that are less than investment-grade. By targeting a duration of zero, HYHG offers less interest rate sensitivity versus its short-term bond peers. For investors who are reluctant to invest in high-yield, SPSB seeks investment results that correlate with the Bloomberg Barclays U.S. 1-3 Year Corporate Bond Index, which is designed to measure the performance of the short term U.S. corporate bond market. SPSB focuses on investment-grade holdings with short durations to hedge against credit risk. Based on Yahoo! Finance, SPSB has been able to generate a 1.28% return for investors within the last three years. High-yield bond strategies led a Morningstar Inc list of top fixed-income performers during the second quarter, taking seven out of the 10 spots. All in all, high-yield bond strategies have been outperforming their investment-grade counterparts by an average of 2%. SJNK seeks to provide investment results that correspond generally to the price and yield performance of the Bloomberg Barclays US High Yield 350mn Cash Pay 0-5 Yr 2% Capped Index. SJNK invests its total assets in the securities comprising the index, which is designed to measure the performance of short-term publicly issued U.S. dollar-denominated high yield corporate bonds. The short-term maturities will help hedge some credit risk due to the lesser exposure, but holdings are still less than investment-grade. Nonetheless, SJNK has returned 1.20% year-to-date, 2.94% the past year and 3.76% the last three years. Debt issues that incorporate a floating rate component will be beneficial if the Fed continues to remain hawkish on the economy. FLRN seeks to provide investment results that correlate with the price and yield performance of the Bloomberg Barclays U.S. Dollar Floating Rate Note < 5 Years Index. FLRN limits duration exposure with investments in debt securities with maturities that don’t exceed five years. In addition, at least 80% of its assets will be allocated towards securities comprising the index, such as U.S. dollar-denominated, investment grade floating rate notes. The floating rate allows investors to capitalize on any short-term interest rate adjustments in accordance with monetary policy. FLOT seeks to track the investment results of the Bloomberg Barclays US Floating Rate Note < 5 Years Index, which measures the performance of U.S. dollar-denominated, investment-grade floating rate notes. FLOT invests in the component securities of the underlying index and may invest up to 10% of its assets in certain futures, options and swap contracts, cash and cash equivalents, as well as in securities not included in the underlying index. Like FLRN, FLOT features a floating rate component that will allow it to adjust with any short-term rate adjustments by the Federal Reserve.